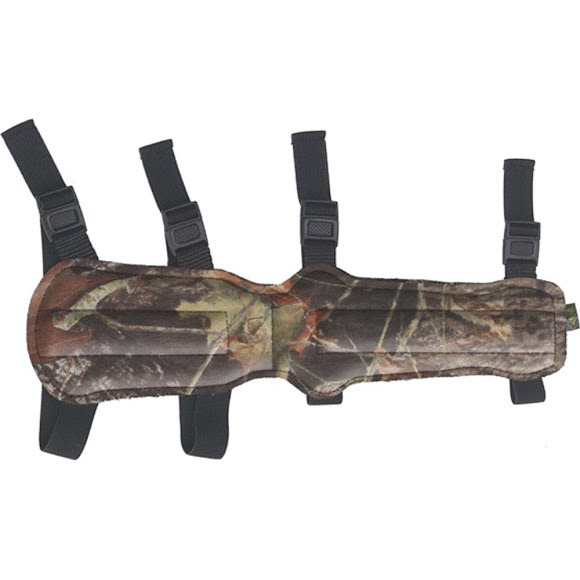 The Allen Co Four-Strap 12" Armguard is perfect for archers that are looking for full-length protection of their forearm as well as padding on their bicep. With adjustable straps and easy release buckles, this armguard is so lightweight and flexible, you might even forget you're wearing it, even when bending and extending your arm. The Allen Co Four-Strap 12" Armguard is perfect for archers that are looking for full-length protection of their forearm as well as padding on their bicep. With adjustable straps and easy release buckles, this armguard is so lightweight and flexible, you might even forget you&apos;re wearing it, even when bending and extending your arm. Measurements 12.25" x 5.15" x 1"